Our open deck Westland China Pantry boasts the richness of handcrafted, solid wood and will bring warmth and style to your home for many years to come. An open deck, bracket feet, and crown moulding are elegantly presented in your Westland China Pantry. 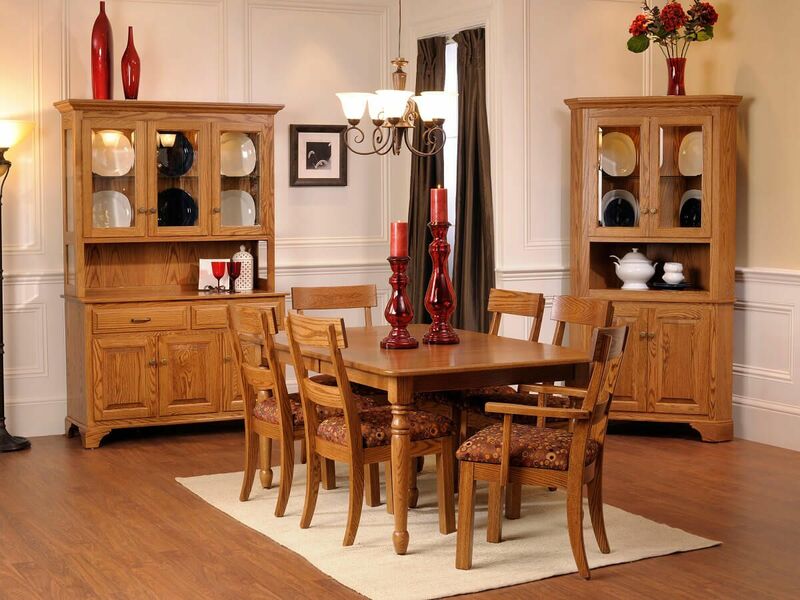 Shown in solid Oak, you may have your traditional china cabinet made from a number of sustainable domestic hardwoods. Choose your wood and stain and our Amish artisans will handcraft this lovely display case to order. 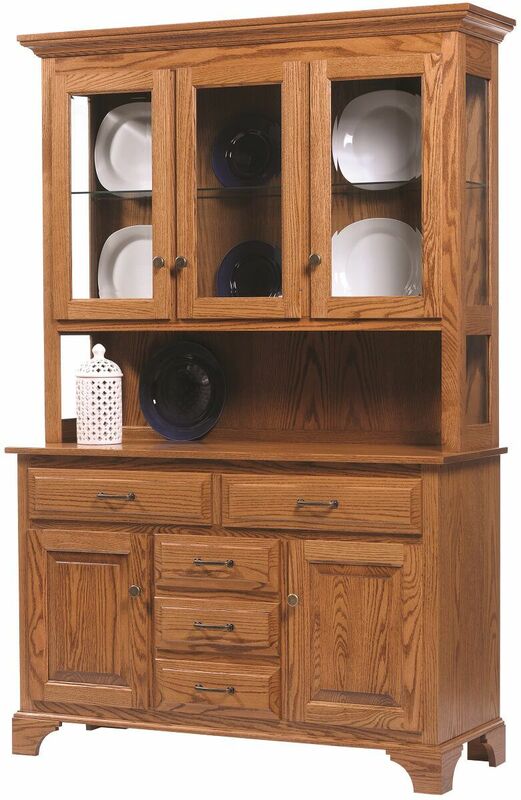 Let Countryside create an heirloom worthy Westland China Pantry, or entire Westland Dining Set, just for your home. Use our Create Your Piece menu to make your selections, or request samples at checkout to view our hand-rubbed stains before making your decision.